Pihea Trail is located in Koke'e State Park starting at the Pu'u o Kila overlook (the end of Highway 550). At the beginning of this incredible trail it skirts along the Kalalau Valley starting passing through forest of Ohi'a trees, ferns, koa, and other native vegetation. This is an excellent place to bird watch if time allows, you might even catch a glimpse of the 'I'iwi, a gorgeous red bird. It is medium-sized with a curved peach bill. As you finish the first mile of the trail a short but extremely steep side trail leads to the Pihea Vista. It's pretty, but it's not worth the effort, especially since you've only just begun the trail. Beyond this point, the Pihea Trail is covered mostly with boardwalk. After approximately two miles on the Pihea Trail, you will come to a junction between the Pihea Trail and the Alaka'i Swamp Trail. From this juncture you'll likely want to continue along the Alaka'i Swamp Trail to Kilohana Lookout. To head to Kilohana, make sure to take a left at the junction; continuing straight will take you down to Kawaikoi Camp and heading right will take you back to Camp 10 Road on the Alakai Trail. After you make the left at the junction, you will descend a steep set of wooden stairs to a place where you cross Kawaikoi Stream before hiking back up the other side through an even more fairyland type forest. You follow a few narrow ridges before breaking out onto a high plateau. If there has been significant rainfall in recent weeks you will be tromping along the boardwalk as it hovers a continuous series of little bogs. In foggy weather, the visibility up here can be limited to 10 feet or less. Continuing along the boardwalk as you make your way to Kilohana overlook; make notice of several old wooden utility poles that are along the trail. The Alakai Trail follows the route of a proposed road which was supposed to connect the north shore of Kauai to Waimea Canyon by traversing the Wainiha Pali just south of Kilohana overlook and meeting up with camp 10 Road at the current start to teh Alakai Trail. If you look carefully when the trail veers to the shortly before reaching Kilohana, you can still see the easement of where the old road was supposed to go marked by utility poles sticking out of the swamp far away from the boardwalk. The plans to build the road were abandoned after hevay winter rains caused the swamp to literally swallow the heavy road building equipment. After traversing the plateau, there are a couple of small dips in the trail after which you break free onto the western edge of Wainiha Pali at Kilohana. If you are lucky, the fog will part and you will be treated to one of the most amazing views on Kauai, a panoramic disply of the entire North Shore. Especially if you started your day by driving from a hotel in Princeville, looking over Hanalei Bay and the Kilauea Lighthouse will give you an amazing perspective of the island; look down there.... is that our hotel?! To help clarify this junction and the two trails, we've created three maps: one is a Pihea Trail map alone, one an Alakai Swamp Trail map alone, and one that shows the preferred route that combines the two (from Pu`u o Kila at the end of Highway 550 to Kilohana lookout), here known as the Pihea and Alakai Junction Trail map. Take Hwy. 56 South until it merges into Hwy 50. Drive all the way south and west past the town of Waimea until you see Waimea Canyon Drive (Hwy. 550) to the right. It is a rather unassuming road, and you have to watch for it. Go right and up and up onto Waimea Canyon Drive until you enter Kokee park and go to the park headquarters to get more information on the park's trails. Don't forget to check our Koke'e State Park Hiking page for information on all the incredible trails inside the park. 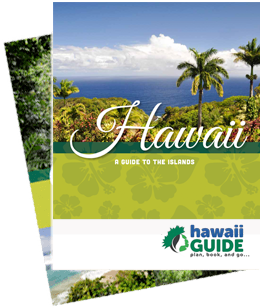 On that page, we've also posted a map of the entire area (Koke'e and Waimea State Parks) for you to download and print out at home. The Koke'e Lodge and Museum will also have maps available, but we'd advise you to go ahead and review the map and become familiar with the area. The crisscrossing of trails and 4x4 roads can be confusing at first, but once you select your routes, it's not too bad. Feel free to contact us if you have specific questions.